Attention! "Bad" Bluetooth & WiFi adapters with low quality clones of ELM327. We faced the problem, that some adapters (often the cheapest ones), can’t connect to the car's ECU. The reason is using of "bad made" clones of ELM327 instead of original chipset and firmware from Elmelectronics. You could notice potentially problematic adapters by: very low price, by MAC address (one can see it while connecting and searching for the device, so the adapter’s name will be detected and its MAC address) . 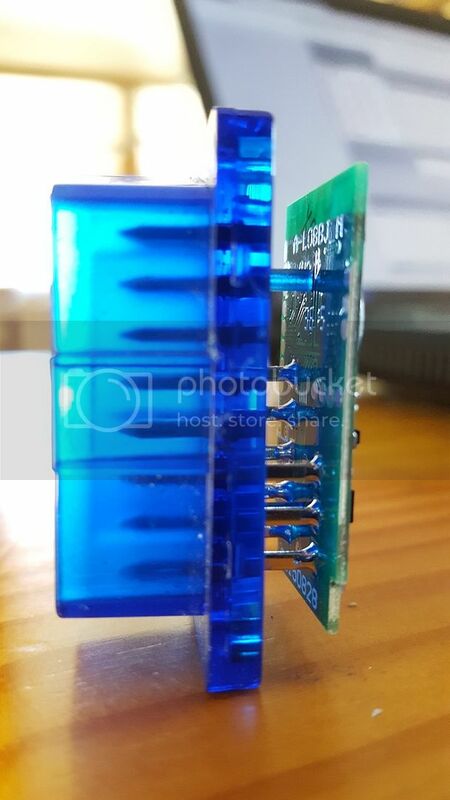 - be prepared that this adapter could fail to connect, support not all protocols, fail to read some data and what's more, they can cause problems with your car. As well, there might be problems with other "no-name" Chinese adapters marked ELM327 v2.1. Please follow the discussion below to get idea about the issues, ask questions and share your observations. We ask to share with us the names, photos, links to these adapters to make a "black list" of such devices. Our team constantly works for the best user experience with our products and to solve the problem with bad quality adapters, we developed reliable solution for our users - InCarDoc Auto Scanner! This OBD2 Scan Tool was developed and tested by the InCarDoc`s professional engineers. It is recommended Bluetooth Adapter for iOS & Android devices and fully compatible with multiple car brands and modes. that's exactly what happened to me. Thankfully, car still starts, so I hope ECU is fine.
) refused to connect to the car. As described, MAC starts with 66:35:56 and it says ELM327 v2.1. Wasted time and money. Useless product. I decided to give it a hammer treatment rather then have seller flog it to another unaware buyer. I bought this adapter (ELM327 v.2.1) and just tested it on my Opel Astra H.
Maybe this version of the item is good. Unfortunately I can't say it's MAC address for now. So i bought the ELM 327 FROM BANGGOOD.com (chinese wholesaler) 1.5v small black adapter Bluetooth, several months ago for my BMW 528i, have not tried it yet, they say it uses Torque android app. There are a few by that name, wondering if its going to work at all from reading various users online. any body tried the old little black one like mine? Which app is best? Free ones esp. Im really needing to define 3 of the "P1" codes to fix my car in order to get emmisions test,rough idle & burning somewhat rich. Replaced all 6 ignition coils already, and didn't change a thing. Plugs are next I suppose. But at this rate it could start getting pricey. Would you please give me more details about problems this device could cause to the car. What do you mean by: "looks most problems for CAN, but L-line and K-line could be affected too". Also, what does it mean TTL signals​. That's all about signal (electrical) level of OBD-II specification. Unfortunately I can't here explain in brief all this. If interested please check signal level specification of OBD-II protocol. Thanks! I have an elm 327 that I've had a couple years now. I've never had an issue with it. I've been using the app torque pro. It connects every time and is fast with communication. Is it an issue I only have to worry about when using in combination with this app? First of all v 2.1 is a fresh adapters and 2 years old usually 1.4 or 1.5 that never have listed issues. Other programs including Torque also have notifications about bad adapters on their pages or sites, some of them block using some adapters at all. There are cases when start engine with plugged adapter could cause the problem - no relation to any program at all. I have problems with ELM 327 "Mini". It's blue and looks just like the one in the lower right of the photo on the Bluetooth OBD adapters thread. It identifies as "OBD II" & "ELM327 v2.1"
It totally failed to do anything useful with several different OBD apps. It was sold by eBay vendor sgbyincons. I just bought a Vgate scanner on amazon and it doesn't connect to the app. The address is exactly the one you gave. Wished I had read that before ordering. I have a mini bluetooth elm327 v2.1 obd2 adapter. I plugged it in my mazda 3 spirit 2.0L model. I am using torque pro, and did not encounter any problem. Is there any chance that some problem or damage is possible ? Different programs might use different subset of ELM327 and OBD-II commands, even the same program could use different commands with various use-case scenarios. Some risk remains as one does not exactly knows the exact "dangerous" commands (generating failed signals with bad adapters) and cases when it could be send from the program. Is there any specific proof that the elm327 v2.1 caused any damage ? Do you know for sure that there is some hardware bug in this adapter ? Just blaming this adapter that it is bad is not an acceptable statement !!! just got my Vgate (blue tooth) OBD Scan tool I have paired it to my sansung 4s phone.when i connect to app on phone iit get no reading. i only get power light on the scan tool never the OBD or pc light.is it the scan tool app or some other problem ? Switch off then on bluetooth support in phone, plug off then on adapter.turn on debug logging on page Menu-Configuration-Logging, try to connect then send log from the Menu-Configuration-Logging with issue description, comments, adapter and car details including year. Thanks! We faced the problem, that some adapters (often Chinese one), can’t connect to the smartphone. The reason is its MAC address (one can see it while connecting and searching for the device, so the adapter’s name will be detected and its MAC address). If the MAC address of your adapter starts with the numbers 66:35:56: ... (for example, 66: 35: 56: 78: 90: AB) - be prepared that this adapter will fail to connect, and what's more, they can cause problems with your car. As well, there are problems with Chinese adapters marked ELM327 v2.1. please make sure that your OBD clone is not this because seems to have the same problem fails to connect to the car with: 66:35:56:78:90:AB not found! I've bought a cheap chinese ELM327 v2.1 adapter. I was trying it using Torque Pro and after 10 minutes on the road that car displayed several error messages (electric break fault, wrong oil level, etc), i stopped the car and turned it off, turned it on and it was saying "Electrical malfunction" or something like that. At this point the car wouldn't start. I disconnected the device, tried a few more times and at some point, everything went back to normal, and the car started and have not displayed any more error messages. So this adapters CAN induce damage to cars. The car is a 2004 Renault Scenic 1.5 Diesel. After connect OBD Car Doctor free was giving me the information in "General Information" that it was a 2.1 device. You are right device with MAC range 88:18:56:... absolutely the same as 66:18:56... from the same manufacturer and only difference is color of the cover case. So the device might at some cases generate unsafe electrical signals dangerous for the ECU and electric subsystems of the car. So we can't recommend using of this adapter. It's better to change adapter for some other marked as 1.5... or brand devices with original ELM327 (with any version). And I'm able to pair the device. but that's it. Car still starts. when elm 2.1 is connected, can't start engine , clocl was reseted and all indicators show zero even with engine on. Hello.. I have an issue with 2.1 version.. I have ELMs one chines one from eBay they both answers with ? on command such like this ATCRA700. Who may know is that suppost to be this way? Maybe they change some parameter I don't know about. I google it can't find. Pls can you guys send this command (ATCRA700) to your ELM to check what youve got for answer a ? or OK.
Bought two from eBay, the first partially worked, second arrived today, this one solid black car a rather than clear blue mini. Both with same mac as in this thread 65 v2.1 . Torque pro connects it connects to car can see some real-time data ie throttle position but reports no fault codes at all. I know there are through more reputable diagnostics. How about instead of listing just dodgy adapters which is good someone posts a link to a reasonably priced reliable adapter known to work well. The blue one, Mini ELM327 V2.1 with the famous MAC address. Tested 6 software on my Android, 4 aren't working at all (not detecting dongle, or after a few trys fail at connecting), EOBD Easy almost connects to dongle then fail, and OBD Car Doctor seems to have no problem. I'd be interested in having some more proofs of the danger I am in using this thing in my car, because for now there's only 2 persons, 1 that had resolved problem by removing the dongle, and the other had a "check engine" signal on dashboard. At around 5$ I guess that there are thousands of this thing all over the planet, and I'm not saying that all this post is BS, just that it would be more usefull with proofs that it's that bad. For now I'm quite afraid so I don't think that I'll use it each time I take my car, so I'm making some more researches lol. I have a ELM 327 2.1 with mac adress 00:18:56:AE:08. And i can't connect it with my Opel Corsa C 1,2. I was able to connect it once, but now it seems it is not working anymore. I used torque pro. Thank you. Shows Pair OK with pairing code 1234, and no further BT connection. MAC 66:35:56 does not belong to any registered vendor/manufacturer. Just smash it and don't waste time on it. On my 2003 peugeot 2.0i it seems to have caused major damage! It looks like my BSI module has been damaged. The dashboard has gone crazy, nothing functions anymore, the car does not start. All attempts to reset the BSI have been futile. Will have to go to dealer with this problem. Watch out with this cheap chinese crap!! and it is working fine on a BMW 3 series 2010 model. The MAC address is AA:BB:CC:11:22:33. More expensive than some adapters but it had good reviews so worthwhile. It connects with no difficulty and all functions seem to work. I upgraded to OBD Car Doctor Pro which works very well. and it is working fine on a BMW 3 series 2010 model. The MAC address is AA:BB:CC:11:22:33. More expensive than some adapters but it had good reviews so worthwhile. It connects with no difficulty and all functions seem to work. I upgraded to OBD InCarDoc Pro which works very well. I bought 2. First one is here, not impressed. Connection to adapter, yes. To ECU, no. Adapter error count 0 other faults 1. Obviously it's not communicating from the EUC to phone. To be fair I tried 2 cars. I'll post back when the other one comes. They connect to the program and say elm327 v2.1 then freeze. I opened one up and it has no elm327 chip. Instead it has a MCP chip, completely fake. Second one came, same thing. Would not communicate to the ECU. Back to Aliexpress, look for another vendor with better feedback. Ordered 2 from there http://www.aliexpress.com/item/Universal-OBD-V2-1-ELM327-OBD2-Bluetooth-Auto-Scanner-OBDII-2-Car-ELM-327-Tester-Diagnostic/1578466645.html garbage. 0 for 4. On a different forum, nothing to do with this, asked if anyone was running torque pro and which adapter. http://www.bafxpro.com/obdreader/ You can get them on Amazon for around $19. Ordered 2, paired right up, made sure settings were correct, BAM! Talking to the ECU. The seller of the counterfeit ones try to make you feel bad and stupid, but your not. The BAFX sells around $24 in general. https://www.scantool.net/scan-tools/smart-phone/obdlink-lx.html was also recommended, but has a price tag of $70. then send log from the Menu-Configuration-Logging with issue and car details including year in letter. Sure, and I have swamp land to sell. I got off the notion of buying the adapter from China to get one promised to work. It did. $20 vs $5. I was 0 for 4. Now 2 for 2 with the BAFX. You'll help to confuse people with making excuses why the ECU doesn't connect because of blaa blaa blaa. The unit is pretty self explanatory. It connected fine and was reading the sensors and sending info, so I decided to put it in drive and see how the app "Torque Lite" responded. My truck went about ten feet, then all the electronics and engine died as it coasted to the side of the road. For a little while there was light indicating it was in park when the key was in ACC and a clicking sound coming from under the dash deep above and behind the brake pedal. I disconnected the battery to reset the computer but that changed nothing. What could this little obd2 scanner have done to completely shut down my truck? Anyways I gave that thing a one star review, but I am sure they will just rebrand the same piece o crap. Any help on this would be greatly appreciated. Well I figured out the clicking is coming from the buzzer, I guess it is not getting enough electricity to fully beep because the cab lights are looking pretty dim as well. Wondering if it is a bad ground or what, right now I am just like WTF is up with this truck. Battery measured at 12.45 V.
Nope, cheap counterfeit. I ordered 2 BAFX http://www.bafxpro.com/obdreader/ hooked up no problem. Paired to phone, communicated to the module, ECU reported back to the phone torque pro. Anyway I was able to pair with my phone and I was able to read out some data from sensors, but I wasn't able to read out error codes. Any idea why? It could be caused by wrong address? The most possible issue is that you have non-OBD-II errors. Program and adapters designed to work according to OBD-II standard that describes engine and exhaust systems only... if troubles with smth like ABS, Airbag etc. that out the scope... reading could very brand-model-year specific and unfortunately not supported. Thanks! I had some problems with my car before I connected adapter and I had check engine diode on, so I am almost sure, that I have some OBDII errors. And I've seen on youtube that another guy was able to read out some errors in Astra H also. 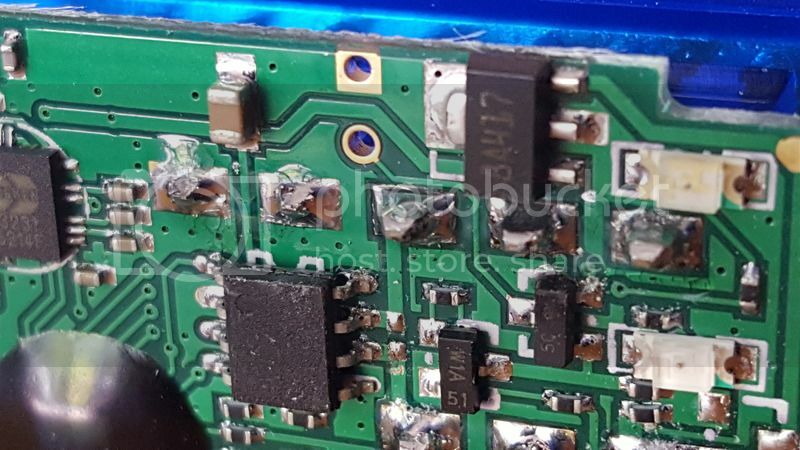 hi, i already tested my chinese elm v2.1 in many cars (28 now), the only i have issues was a chinese car, a Jac J3, all dash lights came on, the car won't start, locks get crazy..
i have also some ELM327 BT adapter from ebay which does not work. Could you please send me some link to ebay with adapter which does work very well? Please send me at least via PM if public links are not allowed. I bought Chinese product EML 327 from Bangok's Market, cost $13. It can't connect ECU. Wasted Money and Faked EML 327. As I see this thread is still alive. I˙ll share some experience that I had today. As I´m car mechanic and I have 20 years of experience with different cars and many kind of car diagnostics, today I get the chance to test this little Chinese stuff :). My friend came in to my service and asked me if I want to buy this little thing (with a smile) and I said let me test it first, then I˙ll decide. So I connected it first to VW Caddy 2005 1.9 tdi. First I had to manage how to connect it but didn˙t have the time to read how to so somehow I managed to connect it. When it finally was connected it could read the fault code, read temperature˙s, and a few more stuff something more but don˙t remember anymore. The one thing that was strange is that the throtle position on idle is at 95% and it doesn´t react when it˙s pressed. Well I decided to test it on second car which was VW Polo 1.9 sdi around 2000 year which came with MF lamp ON. Error with these Chinese was bad position of fuel quantity . Well it was a little strange cause we repaired the pump a few days ago so I connected pro diagnostic tool and the fault code was bad position of timing which was something completely different. Hm, as the customer was present didn˙t wanted to force it anymore so I gone on the third car which was Astra H 2006 year 1.3 cdti with error lamp ON also. Well I said this one will be my last test today and connected it with Astra and bam, no error??? LOL what a pity :), of course with pro tool there was an fault code. As I saw that it can read accelerations and decided to try it once more on my VW Jetta 1.9 tdi 2008 but as it is pretty cold outside I˙ll do it when the car is warm one of these days and that was good decision cause first I found out this thread and now it will not get the chance to be tested . So, thanks to this thread I won˙t get a headaches . To "zekoos" or other who might wand to get a bit more than just screaming that ALL is bad and useless... First of all the branch about some BAD adapters that really does not work or work BAD. What shows Zekoos investigation? It fails to connect to this adaper in 5.0. Downloaded 4.99 APK from the internets, everything works fine, pls check up the recent changes. The recent version is 5.02 Please check it. The most re-connection issues have no relation to version just 2 simple steps: - turn off- then on- Bluetooth support in phone, unplug and plug back the adapter. Thanks! I got half price refund but after apllication Elm327 Version Check tells me that this is v2.1 so perharps I could get full refund. I wanted to test this product because it seems to be interesting and perhaprs write article about it on my magazine. And it dont work with my car Škoda Fabia 2002 approx. Please note that the reason of problems could be the car as well, Skoda in 2002 could have no OBD-II support, please check about with service or Skoda forums. Thanks! few days ago i got v2.1 adapter from ebay with MAC 00:1D:A5:68:98:8A. I tried it yet and looks working right.. Than i found this topic. Should I be afraid of something? Thank You. Thanks a lot for this topic! I bought recently a counterfeit adapter from aliexpress. I decided to dump it after OBD car doctor showed me a warning message and I read this topic. Now it appeared that I can't even find a genuine ELM327 chip based adapter as all online sellers seem to offer a counterfeit. Where could I buy a proper one ? any advises? Purchased ELM 327 v.2.1 on Aliexpress. On the program: "Diagnose your car" difficult to get a connection at the WP8.1 phone. At WP10 does not start. How to connect it shows errors and lordling and all operating parameters of the engine. But often causes going mad clock, reset, lock and start the car. You must then remove the ELM and the car is booting up normally without problems. On the program: "Car Scanner" is answered with no problem. How to connect to it reads all the parameters offered by the program. Tested on Lumia <> Punto 2 and the VW Golf +. Program: OBD Auto Doctor does not start because of the WP10 in the phone. Please note that the forum and site about "OBD Car Doctor", "OBD Auto Doctor" is different product from other company. Thanks! Скорее всего адаптер именно из серии китайских клонов о которых можно почитать выше в этой ветке. Некоторые недобросовестные продавцы могут перемаркировать их как 1.5, чтобы сказать что за адаптер нужно видеть отладочный лог и команды которые он не понимает. Как описывается выше в ветке некоторые машины могут быть более устойчивы к сигналам такого адаптера некоторые менее. Обычно сброс питания с ЭБУ должно лечить проблемы, реже требуется сброс при помощи сервисных специализированных сканеров. Остаточные проблемы с прикуривателем звучат странно, вероятно это просто совпадение. Спасибо! I purchased 2 "budget" bluetooth OBD2 adapters which I have been disappointed with. I originally read this post about 6 months ago when I was having problems just after receiving them. I have tested these adapters out on at least 6 different vehicles. The only vehicle I have gotten both adapters to work on was a 2002 Kia Sportage (Hyundai). And with all software functionality. I am wondering if in particular parts of Asia where these are manufactured that they are using a different type of OBD2 compatibility than what our made-for-America vehicles are using? I don't have enough experience in that department to really know. I've had this adapter connect to every PC and mobile device via Bluetooth fine but when the ELM327 software is attempting to use all the protocols available, it is unable to connect to a Ford, Chrysler, or Chevrolet vehicle. My adapters MAC address does not match the defective MAC listed in the original post. Here's a few photos of my adapter(s). I did a quick tear down of the device. I compared the adapter teeth to my OBD2 scanner cable connector (which connects fine). The teeth in this adapter appear to be more recessed. They are also soldered in at such different lengths that perhaps there is a bad connection to the ECM when plugged in to most vehicles? Just a thought for those that have no functionality on their faulty or perhaps intentionally faulty Bluetooth adapters. I took a look at the diagrams for the OBD2 pin configurations on typical OBD2 connectors. If anyone is interested, this unit is lacking pin #2 (J1850 Bus +) and pin #10 (J1850 Bus). 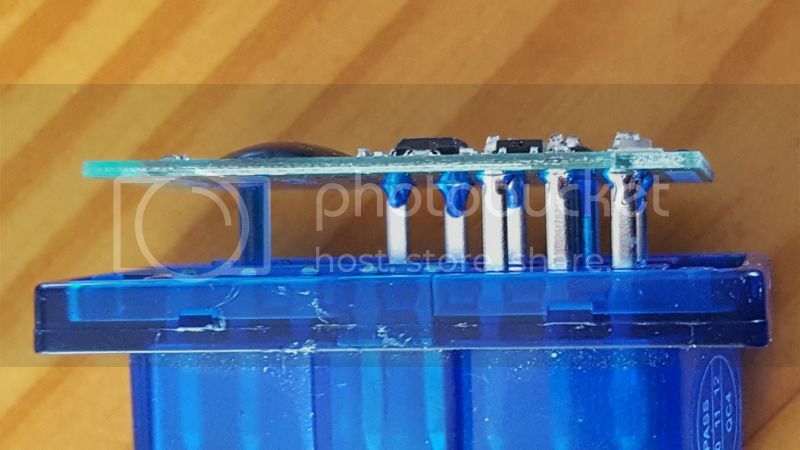 It looks like several pins on OBD2 connectors are left for manufacturer specific features. This unit does not have any of those additional pins, as well as support for J1850, (assuming that I read the pin diagram properly). But if you read the case on the adapter, it "supports all OBD2 protocols"! SAE J1850 is listed as being used "mainly by US manufacturers". My assumption over these cheap adapters is that they were manufactured for the Asian or European vehicles in mind, hence the lack of the J1850 bus pins. The pins that are present on my adapters; 4, 5, 6, 7, 8, 14, 15, and 16. Here's a chart for the OBD2 pin out configuration if you feel the need to pull your adapter apart to see what bus it supports. This is the car side of the adapter so you'll have to look at your pins in reverse. Clones marked as versions 1.4 and 1.5 use functional analog of original PIC-chip(s) used by ​ElmElectronics (PIC18F25K80 + MCP2551) and stolen early version of original firmware (that was practically unchanged). Clones marked as versions 2.1 use another chip (MCP2515 or other...) and other type firmware (own or strongly re-written) this combination appears to very raw and untested: it does not support a lot of required configuration AT-commands, some protocols could not be initiated, implementation of CAN signals could lead to on-bard electronics errors, etc. I spent $10 USD for both but these adapters aren't worth even that purchase. Like you mentioned, INCARDOC, the official ELM chipset is much, much better overall. Spending the extra money to purchase a quality adapter is the best option in my opinion. The bluetooth connection drops out quite often on the adapter I posted above. But also, Bluetooth has been a very poor wireless connection for every device I use it for. Even the data transfer rates lack between every device i use it on. I also find that Windows is lacking in both driver and software support for Bluetooth. However, I have a quality USB OBD2 adapter that I use on my Windows PC and it is the best ELM327 device I have used till this day. I use the micro USB host adapter for that when running on Android and it seems to respond much quicker when recieving data from the vehicle. A lot of people on here seemed to have negative experiences with clones ... I bought the Kiwi 3 OBD2 car to smartphone adapter from PLX's website a few months back and it has been working great– I just leave it plugged in and it autoconnects every time I enter my car. A little pricey but IMHO well worth the cost. Posting here because maybe, just maybe someone will know something. I commented on the Torque forum too. About at my wits end here. Here's the deal. I purchased one of these crappy generic adapters from BAFX. I didn't realize the harm I could do. I used this with Torque for quite some time on my 04 Chevy Cavalier. Well my brother had a check engine light in his 2003 Pontiac Grand Am for an engine misfire. Decided to figure it out and needed to reset the code. Well, I reset the code and now the engine won't crank. Tried the security relearn and replacing the ignition switch - which replaces the security sensor. My dad and I could get the engine started by starting it at the starter and it dies after a few seconds. Battery is good. So my question is, what component did the scanner most likely screw up? ECM, BCM, PCM??? I've bought clone of the ELM327 adapter. Mac address is ​00:1d:a5:68:98:8d and appears, that vendor is Polish company WB Electronics (http://wb.com.pl/?lang=en). Do you think, the adapter is safe to use? Unfortunately it does not possible to say smth, w/o through tests. The most problems observed with "no-name" adapters where you have no info about the manufacturer. If you have exact information and contacts of manufacturer, just try contact them and ask your questions. Thanks! Any one know is this one is a good one? The last elm327 that i bought from aliexpress died after 2 weeks~~, I drive a mitsubishi ASX 1.6 2015 and the car is ok.
Vgate one one of the reliable solutions from lower-price segment. Who wants to be my friend? An app that I've found really useful is "Elm327 Identifier". It really shows what your adapter supports and what you're missing because it doesn't support the latest standards. My Chinese made adapter which I bought years ago was fine when I bought it. I learned that I'm missing 7 pid's in version 1.4b, 3 in 2.0, and 2 in 2.1. I'm upgrading asap. BTW I tried the trial ofyour pro app and really liked it. 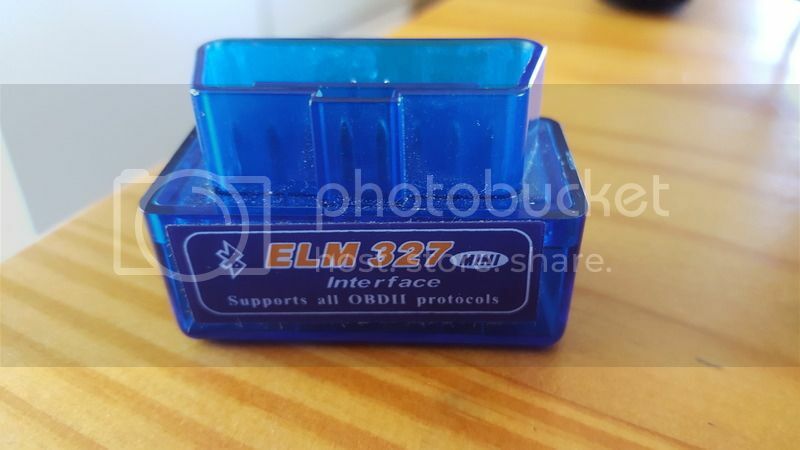 Defiantly the original ELM327 is used by KiWi products, also one could consider OBDLink product line that utilize some reliable alternative chip STN1110 compatible with the ELM327. Some info could be available at ELMElectronics page. Thanks! I include myself on the list. 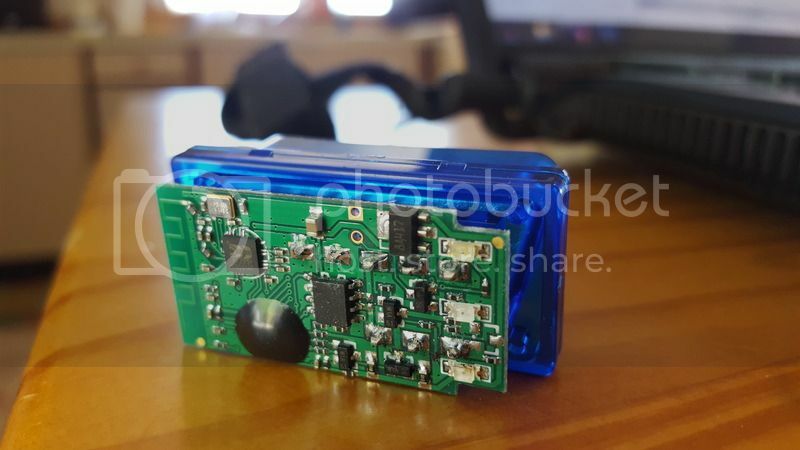 I bought the Blue ELM327 V2.1 Bluetooth connector for my 2003 CR-V on the Dominican Republic. In my case is not fare to say that the tool doesn't work at all. In fact it does connects to smartphone: LG G3 VS-985 and I'm even also capable to connect to some vehicles: 2011 Rav-4, 2013 Kia Rio, 2013 Kia K7 and other. But the one reason I need it no connect doesn't work: My CR-V. In the link above you may find image of the item. Shortly I'll oist a picture of the chipset (IC). I can confirm pins: 4,5,6,7,14,15,16. I couldn't attach the pictures. Can't find the option. The other possible reason could be that adapter supports not all OBD-II protocols. Hello, what about the OBD2 in ebay at the range of 15-20USD? They usually say: KW902, KW903, and there are some cheap vGate. They are also wifi. vgate or KW packaging and the PCB inside would be the cheapest Chinese ones? Unfortunately it's practically impossible to say "what's inside" without testing. All this product looks identically to iCar 2 - quite a stable solution from http://www.vgate.com.cn/en/... but unfortunate it's hard to say if they use the same chip and firmware as I've see that even brand VGate could be "shared" with different plants. Thats what I thought... So any reliable e-shop to buy the vGate? Or any tested seller from ebay? At the vGate page I do not see how I can buy directly from them. Konnwei is something similar to vGate? I have just downloaded Car Doctor to try and retrieve the fault from my daughters Nissan Micra 03. I am using a BT OBD connector that works fine on my 2012 Vauxhall Ampera but when I plug it into the Nissan it quickly flashes Green-Amber-Red and red stays solid. Is this a car problem; as opposed to a BT device issue? There could be different issues, but the most possible is that Micra just have no OBD-II support in 2003. If your model was not assembled specially for the USA market, it rather have proprietary Consult protocol only in 2003. Thanks! It has not arrived yet. When it does, I will connect it to some power supply to check if it will connect to a phone vie Bluetooth. And, if I can, will check for signal levels (voltages) of the output pins. Untill then, can you tell me if any of you have this model (it is a no-name clone, but still), and did you had any problems with it? Edit: Ops. When I was readin this topic on my phone, I did not see that there are more then 1 pages. OK, now after reading it all, I see that some of you did bought the same device. What I also noticed is that many of you where using it while driving the car, and it caused you problems. Well, this is not meant for that. You are only supposed to use it to read the codes, and then unplug it. Of course it will interfeir with the ECU while driving. Do not do it. I have received the adapter. I have opened it up. It is a high speed low power CAN transceiver. It is powered from the 70L05 linear voltage regulator (5V). I did not connect it to the power supply yet, to see if it will connect to the phone via Bluetooth. When I find time, I will see if I can also check the voltage levels of the output pins. But, from what I am seeing, there is no reason to think that this device would damage the ECU. Unless the cloned chip has a "bug" in hardware that makes it output voltage spikes or something. But even then, the biggest voltage it could output would be the voltage it is supplied with - 5V. 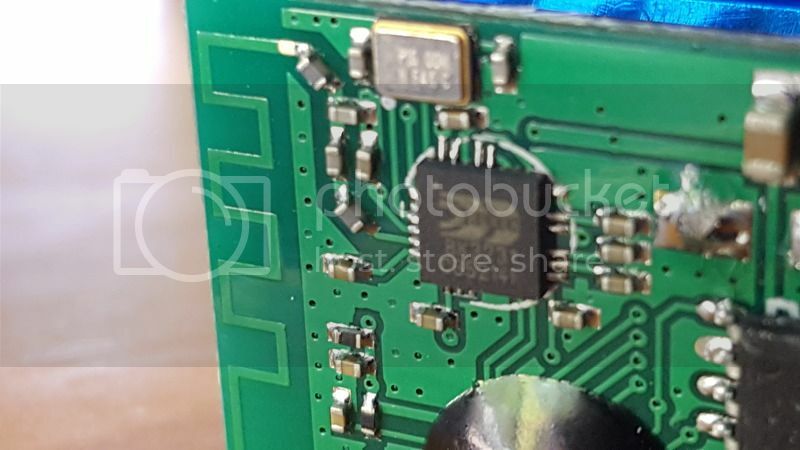 The IC under the black "blob" is probably a microcontroller, to interface between CAN and the Bluetooth transceiver. Well, even if it doesn't cause damage to ECU, with some of these adapters it is really hard even impossible to connect to ECU! I have tried on my Suzuki Swift Sport 2007 an OBD like the one you posted and even if it connects with the cell phone it will not connect to ECU. The same adapter has no trouble connecting on a Peugeot 207GTi though. Some months ago I also was trying to connect on my Swift an other cheap OBD adapter (with black bigger plastic case, I do not know what was inside) and it connected after many many tries. Finally it was causing my check engine to light up for some random problem that was not actually there. Something about tachometer/dashboard I do not remember exactly the error code. ELM327 you can buy at Amazon. Just got one and not sure about a few things. 2nd I can pair the device but that's about it. It specifies "make sure green light is on", mine; red. yellow and green light up briefly when connecting and then remains red. Is it not compatible with the vehicle? Mercedes ML320CDI 2005 or is it a dud? As you could read above, now the list of "bad" adapters does not limited with version that have MAC address "66:....", unfortunately in a risk zone any low priced models. If you want to see the MAC address, it's possible to see in a line next to adapter name in Connection settings or when searching, selecting the adapter. The color coding now also could vary for different manufacturers, so one could not relay only on a green, that's from old times. Mercedes in 2005 and by fact much earlier have compatibility with OBD-II and so should be supported with real ELM327 and our app. Is the ODBII bluetooth adapter "KW902 ELM327 V1.5" is know to be reliable ? Sad to read this as I got all excited about checking codes and having my inovative dashboard for my GMC´56 Project with an LT1 FI OBDII as I even bought a Samsung Tablet to serve as Speedo, Tach, temp, MPG, etc... and music, why not?! Has not worked or paired. First try and engine began to make some small explosions and at some point, in another attempts, switching to on and before starting the engine I could hear the gas pump working without stop. Fortunetelly that I disconnected it and engine came back to normal. But it was scary. IS THERE A GOOD AND RELIABLE OPTION THAT I CAN USE ? Would really like to have the "digital" gauges, scanner and other apps from my Tablet with a safe OBDII reader-bluethoot. Here is some basics to start reliable OBD solution. The most popular on the market are solutions named as "ELM327". That is combination of chip-set(s) ad firmware designed and supported by company ELM Electronics, Other high quality competitor is OBD Solutions with their STN1110, that is compatible with ELM327 at commands level. The most reliable solutions are based on their chips and usually priced over $50 (as only chips itself is around $20). Known adapter's brands that works with original chips are for example PLX Kiwi and OBD Link. Most of other adapter with prices less than $50 usually based on clones of ELM327 with absolutely different quality, it's really hard to qualify that products as all might use the same name but have VERY different quality. Ranged from the almost perfect to complete garbage. Any help would be great please. If you have issues or questions related to our app "OBD Car Doctor", it would be better to use in-app Feedback (or Contact us) options to prepare and send us letter with your settings and connection protocol data for review. Please repeat the issue description in a letter with protocol. I have Passat CC 2012. Is it fruitful to buy "Vgate iCar 2 ELM327 Bluetooth OBD2 Car Auto Diagnostics Scanner"
Purpose is to scan error code and fix few lights on dashbaord. I will be still happy if device only scan error code. I have purchased OBD Advance scan tool from daraz.com but it won't works. The connection to ECU is not established and I think I have wasted my money. this 03 january 2019 I bought ELM 327 "Mini". It's blue color product and just like the ono ofe in the photo on the Bluetooth OBD adapters thread. It comes with CD apps with several different OBD apps. for other apple phone, It sold in wish website vendor. You say Vgate is reliable. I'm guessing many on ebay that say Vgate aren't really Vgate. How do you know which are real? Is Vgate a real company or just another made up Chinese brand? If you google it, it just goes to obdinnovations.com, which is just a reseller, who also sells the same $1 V2.1 junk that's on ebay, that many have problems with. FYI, this review seems to be by the poster in on this thread (rogersride). So it seems Vgate is not a good brand. What about BAFX? Is that just a company putting their brand label on the same cheap Chinese fake ELM327 units? Absolutely agree... and we stated near the same, if teview the thread. Now doezens of Chinese factories sell different products with different characteristics and quality, but packed and labeled as Vgate. The same for other brands as well. The logs should be attached to "Contact us" mail automatically. To force extended logging you might also need turn on Debug logging (Settings-Logging-Debug logging) before car connect attempt.